Our Mazda dealership near Broomfield, CO, has everything you’re looking for if you desire a new Mazda sedan or SUV. Browse our incredible new Mazda inventory today and find the Mazda CX-3, Mazda CX-5 SUV, Mazda3 sedan or Mazda MX-5 Miata convertible you’re looking for! Our Mazda sales team will provide you with a stress- and haggle-free experience while you shop, and we’re here to help you every step of the way. 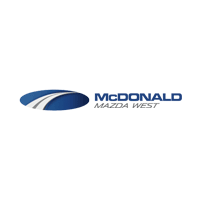 Let us get you behind the wheel of a new Mazda with a test-drive, then you can lease or finance your new Mazda from McDonald Mazda West at a price point you’ll love.